Over the last several weeks, the Drupal Association has been in listening mode — and we still are. We’re hearing community members say they need clarity and understanding, and that our community governance needs to change. As we process what we’re hearing, we want to find the best way to help the community address the issues being raised, within the boundaries of the Drupal Association charter. 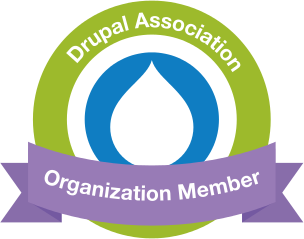 The Drupal Association’s mission is to unite the global community to help build and promote the software. We do that in two very specific ways: DrupalCon and Drupal.org. We’re determining how best to meet the community’s needs as it relates to these two key community homes. In the near future, I will publish blogs with ideas on how we might address the various needs we are hearing. There is one need that we hear loud and clear that we can address today: The community needs support to evolve community governance structures and processes. Both the community at large, and Dries Buytaert, Project Lead, have expressed this need, and we are glad to see this alignment. It’s important to note that the Drupal Association has a very limited role in community governance. Our only role in governance stems directly from our charter to manage DrupalCon and Drupal.org. It’s not within our charter to oversee community governance or drive its evolution. The last thing the Drupal Association wants is to step outside of our charter or accidentally take away the community’s agency in self-organizing to create the new community governance model. However, we do want to facilitate forward movement. And so, we can take a support role. We hear that many in the community want to come together to talk. We can support this by providing a meeting place (both in person and online), and a mediator for community discussions. To provide transparency for those who cannot attend the discussion sessions, we will post meeting minutes and summaries from each community discussion here: https://drupal.org/community/discussions. As facilitator of these community discussions, Whitney Hess will provide a summary to give us a broad perspective on the “voice of the community.” We hope these conversations will ground the community as it begins architecting its new governance model. Once we have had these discussions we can decide together on the appropriate next steps, and how the Association can help the community continue to move forward, together. We hope you'll join the conversation as these discussions begin. Again, our overarching aim is to support the community so it can be healthy and continue to thrive. We believe that open conversation is essential to the wellbeing of any community and we look forward to hosting Community Discussions mediated by Whitney Hess. Please join fellow community members to talk through recent community issues and to be part of co-creating Drupal’s new governance model. Responsibility for Our Feelings: We aim to move away from blame, shame, judgment, and criticism by connecting our feelings to our own needs. This recognition empowers us to take action to meet our needs instead of waiting for others to change. Prioritizing Connection: We aim to focus on connection instead of immediate solutions, and to trust that connecting with our own and others’ needs is more likely to lead to creating solutions that meet everyone’s needs. Equal Care for Everyone’s Needs: We aim to make requests and not demands; when hearing disagreement with our request, or when disagreeing with another’s request, we aim to work towards solutions that meet everyone’s needs, not just our own, and not just the other person’s. Self-Expression: When expressing ourselves, we aim to speak from the heart, expressing our feelings and needs, and making specific, doable requests rather than demands. Empathic Hearing: When we hear others, we aim to hear the feelings and needs behind the expressions, even when they express judgments or demands. Ground rules will be stated at the beginning of each session. If you are not in agreement with the ground rules, please do not participate in the session. If a participant is repeatedly disruptive of respectful, productive discussion, they will be asked to leave; if they do not leave, the session will be terminated immediately.